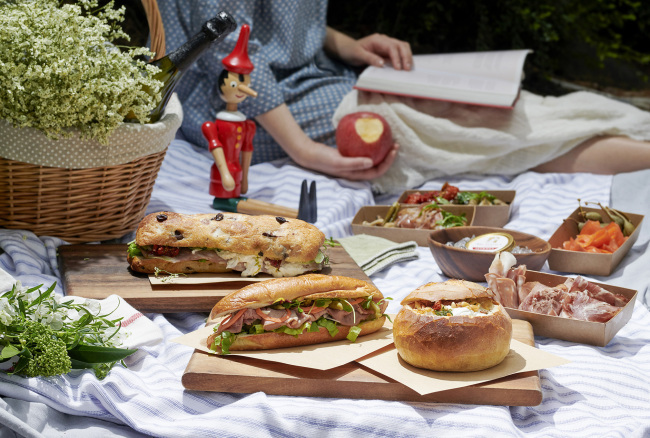 Park Hyatt Seoul’s Italian restaurant Cornerstone offers to deliver picnic sets for guests who opt for an urban picnic from May to June. The basic picnic set presents salads and sandwiches prepared in an Italian manner. A sweet dessert and a drink is included in the price of 13,500 won. For those who desire a more luxurious picnic, champagne set is offered, including caviar and smoked salmon. Customers can chose between Moet & Chandon Brut Imperial, Louis Roederer Brut Premier and Dom Perignon. The price ranges between 299,000 won and 619,000 won, upon the chosen champagne. The picnic sets can be ordered through the Uber Eats app, providing delivery service around the Gangnam-gu area. For more inquires call Cornerstone at (02) 2016-1220. Courtyard Mariott Seoul Times Square Hotel’s all day dining restaurant MoMo Cafe presents TCY lobster burger, celebrating its opening after renovation. TCY is an abbreviation of Times Square Courtyard. The burger menu is a part of the cafe’s “Instagrammable promotion,” to offer dining experiences which could be popular on Instagram. A lobster is served as whole, creating a picturesque table setting. The lobster burger is accompanied by avocado and French fries, and comes priced at 39,000 won. 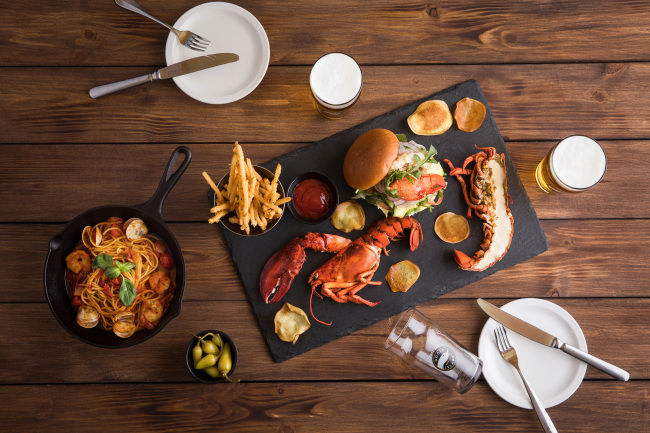 TCY lobster burger set, including cafe’s signature menu seafood tomato spaghetti with two draft beers, costs 69,000 won. For more information, call MoMo Cafe at (02) 2638-3081. 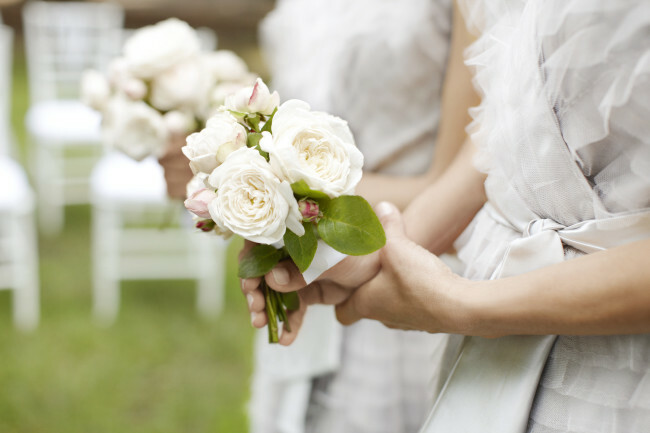 Sheraton Grand Incheon Hotel presents Romantic Proposal package until the end of June. The package includes one-night stay at the hotel’s executive suite and dinner course for two at the Italian restaurant Bene, complimented with a bottle of wine and a bouquet. For guests staying in an ambassador suite, dinner and wine will directly be served to the room. The package costs 380,000 won from Sunday to Friday and 440,000 won on Saturdays for the executive suite and 615,000 won for the ambassador suite. For more information or reservation, call (032) 835-1004. Grand Hyatt Seoul hotel’s dining cafe Gallery offers afternoon tea buffet, under the concept of spring cherry blossom. The hotel took advantage of its location, surrounded by blooming spring flowers. As the cafe’s decoration was inspired by a garden of cherry blossoms, bouquets of flowers are placed around the Gallery. Around 17 kinds of pastel toned desserts are prepared, along with coffee and tea. The buffet is prepared every day from 1:30 to 5 p.m. From Monday to Thursday, the afternoon tea buffet costs 40,000 won. On the weekends and Friday, the price is set at 50,000 won. For more information or reservation, call (02) 799-8615. 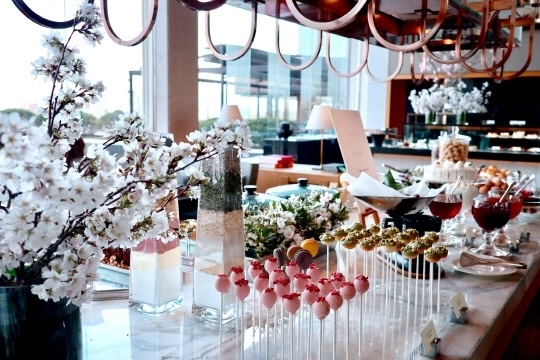 Diners who would like to enjoy spring from a different perspective can visit Conrad Seoul. The hotel’s rooftop grill bar 37 Grill presents a “37 Grill Cherry Blossom course” menu, decorating the dishes with spring flowers. A cherry blossom eclair is offered as dessert. 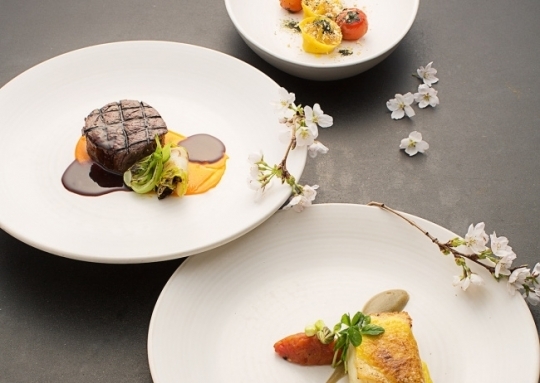 The seasonal course menu is priced at 145,000 won per person. After the meal, diners can head to 37 bar at the hotel, to taste seven different kinds of seasonal spring cocktails decorated with flowers, including Blossom Martini, featuring the scent of cherry blossoms. The drinks cost 25,000 won per person. For more information, call Conrad Seoul at (02) 6137-7000.